We offer many great products from outstanding manufacturers for the commercial contractor to get the job done. Our waterproofing line up is highlighted by caulking as manufactured by Pecora Corporation. Pecora offers a full line of urethanes and silicones for all applications. 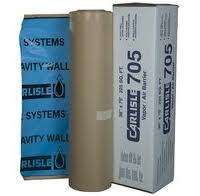 In addition to Pecora caulking, we sell Carlisle’s waterproofing products. Carlisle has products for below grade waterproofing, air and vapor barriers, deck coatings and blind-side waterproofing.